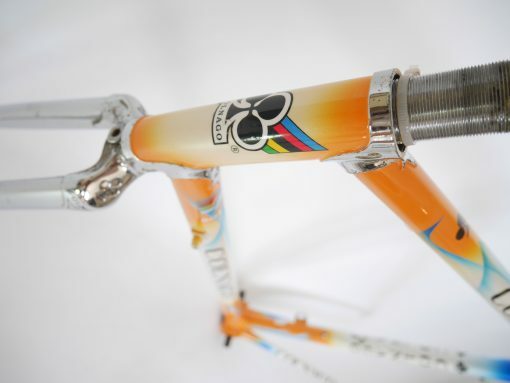 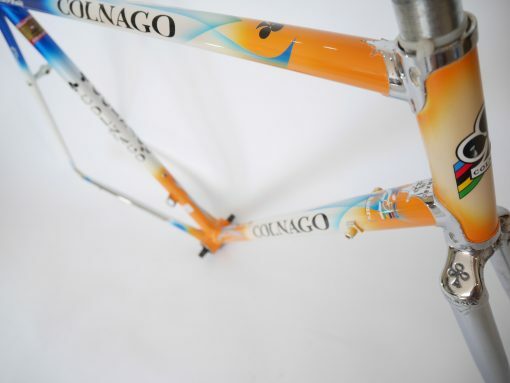 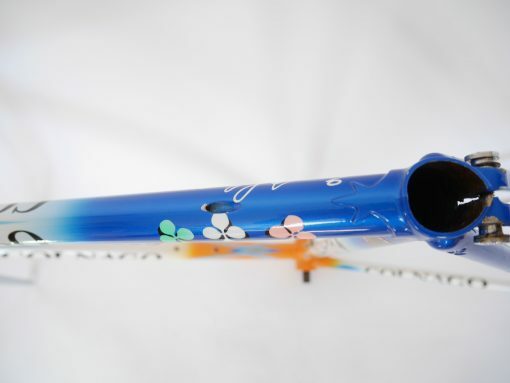 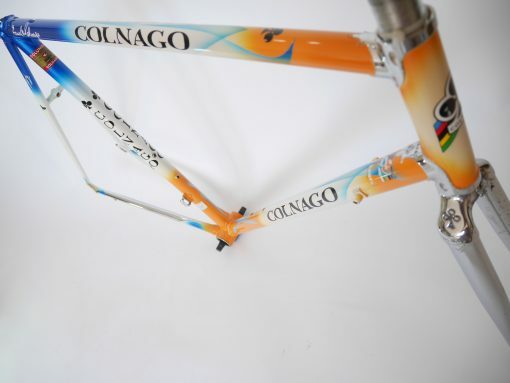 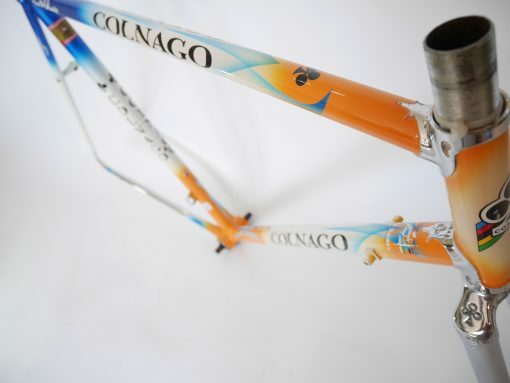 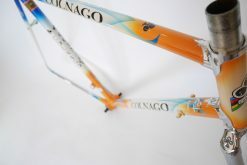 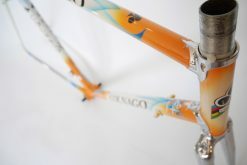 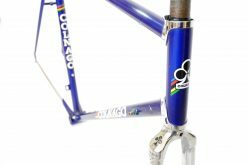 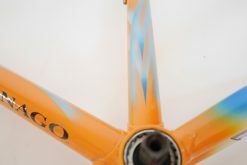 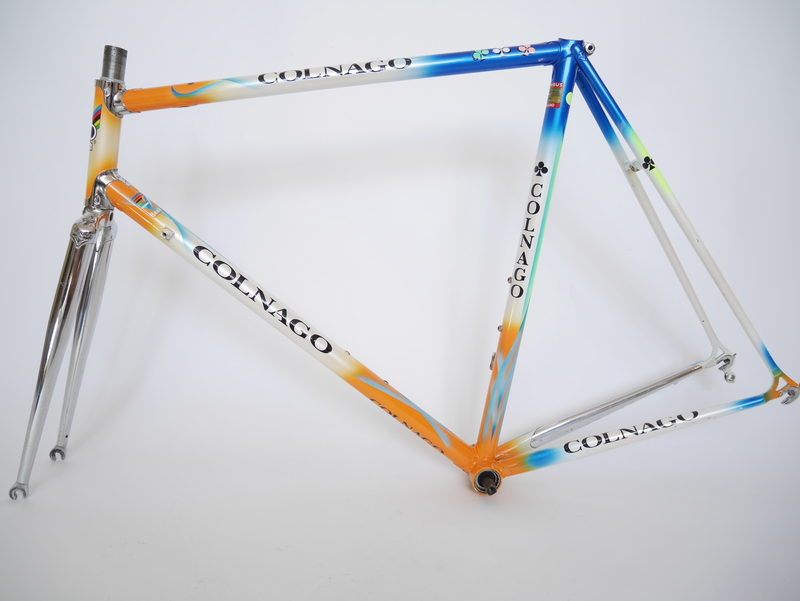 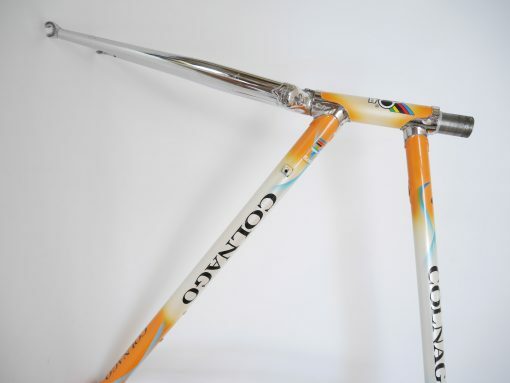 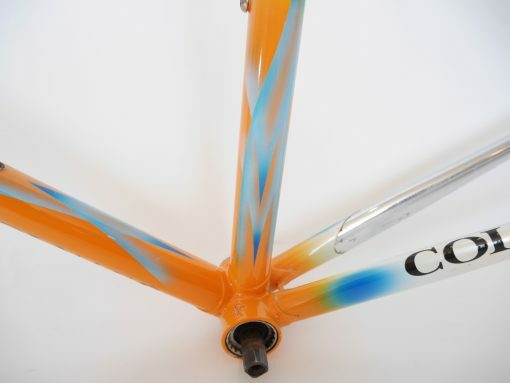 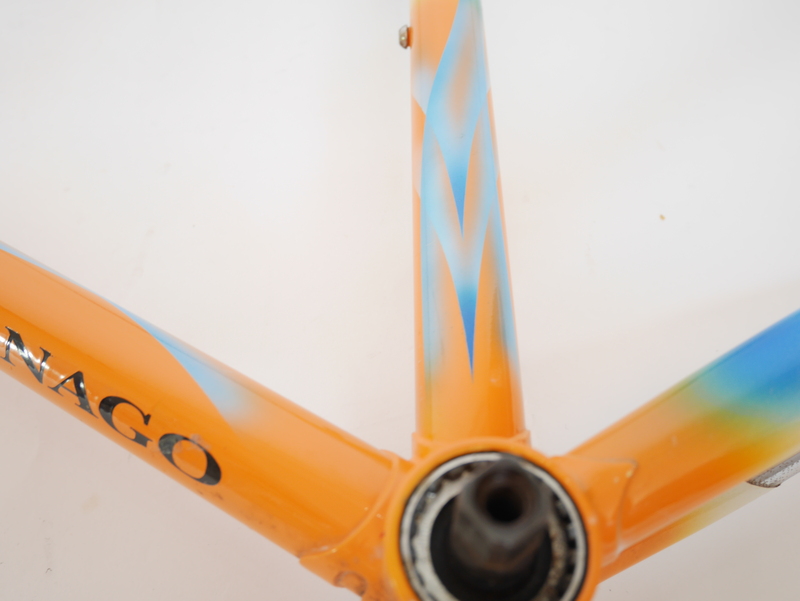 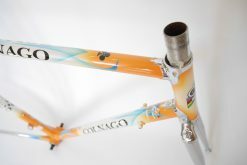 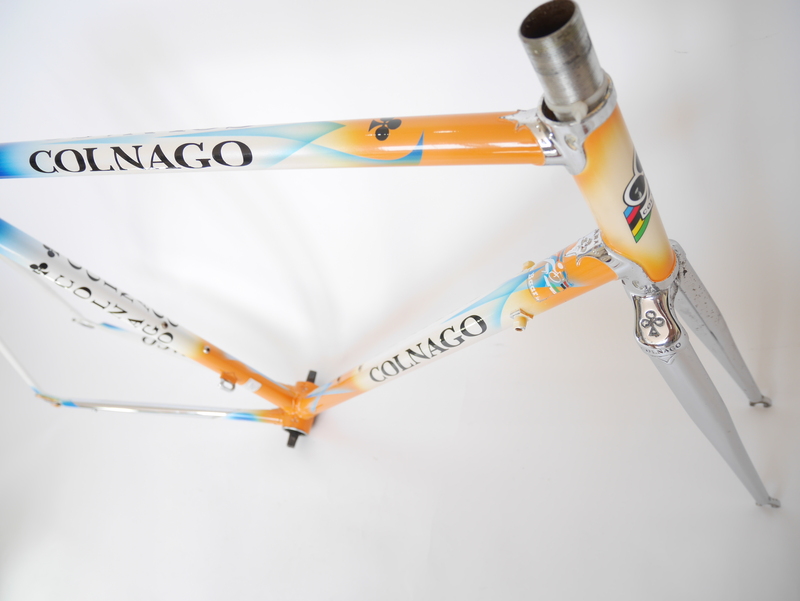 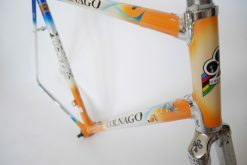 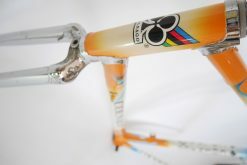 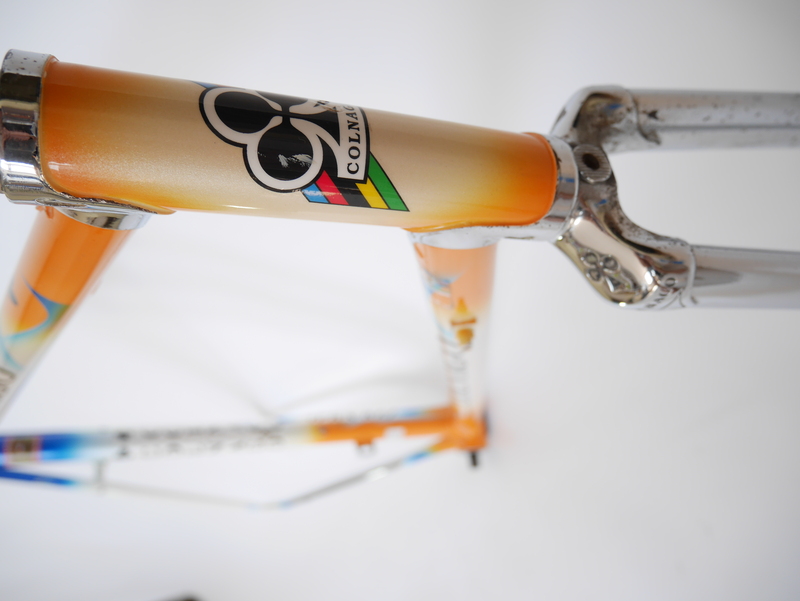 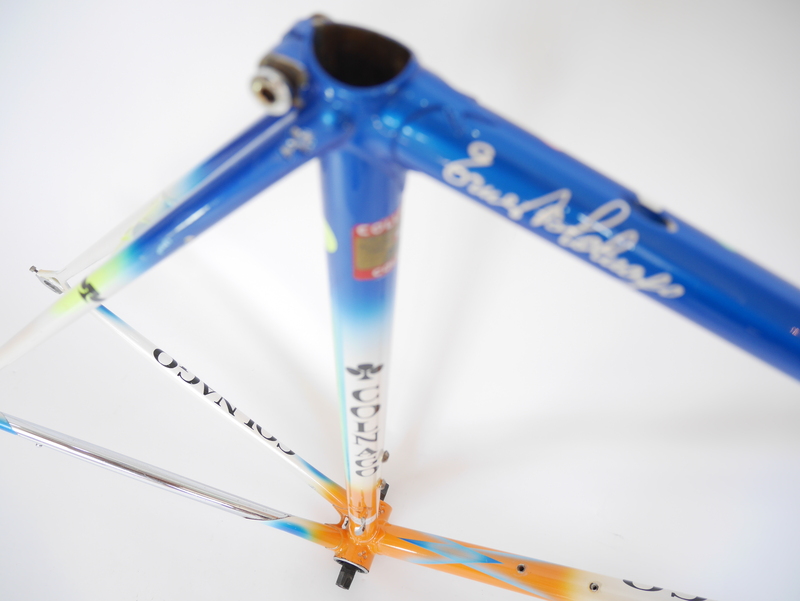 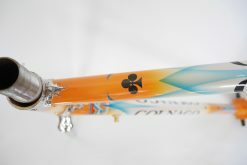 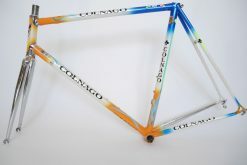 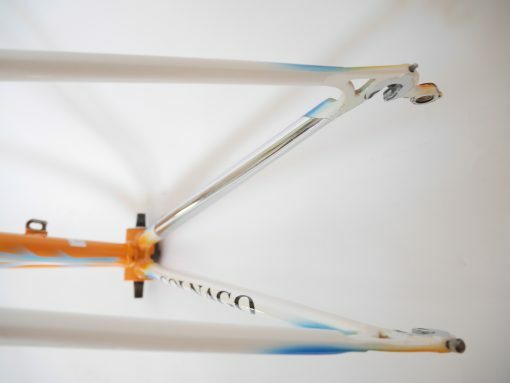 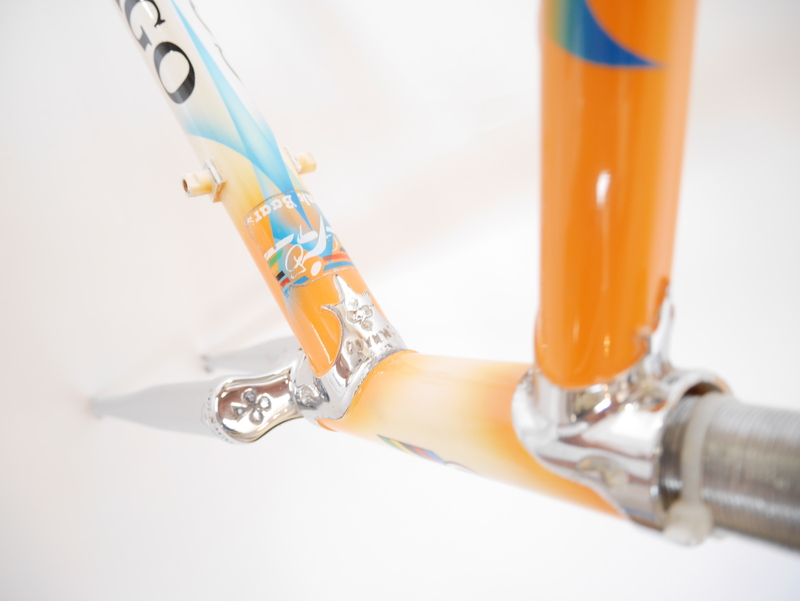 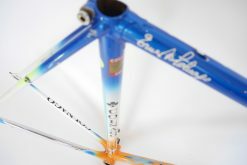 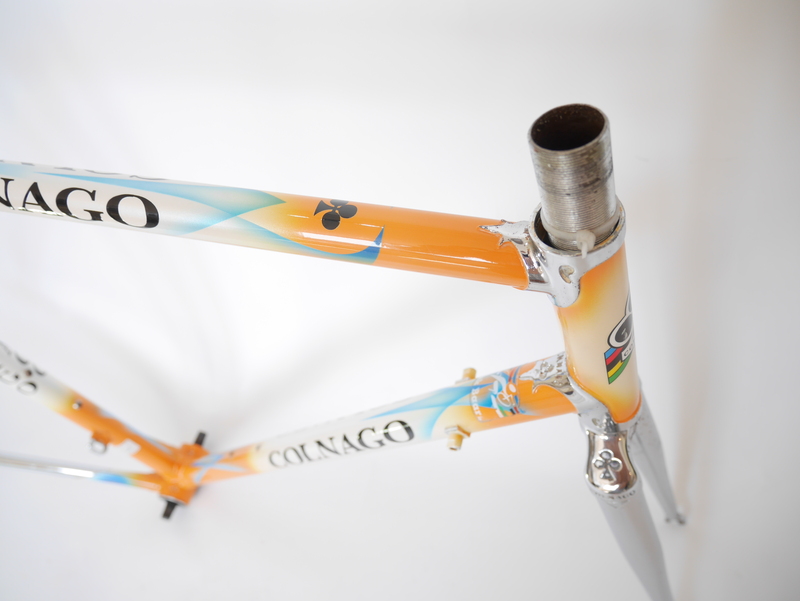 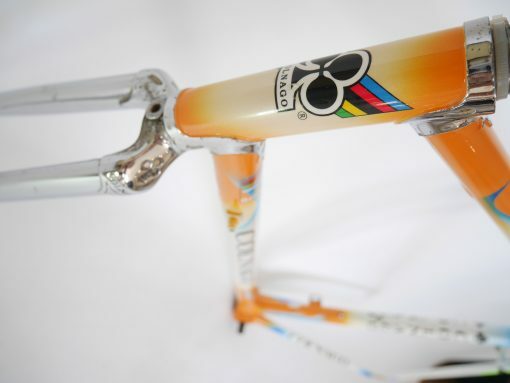 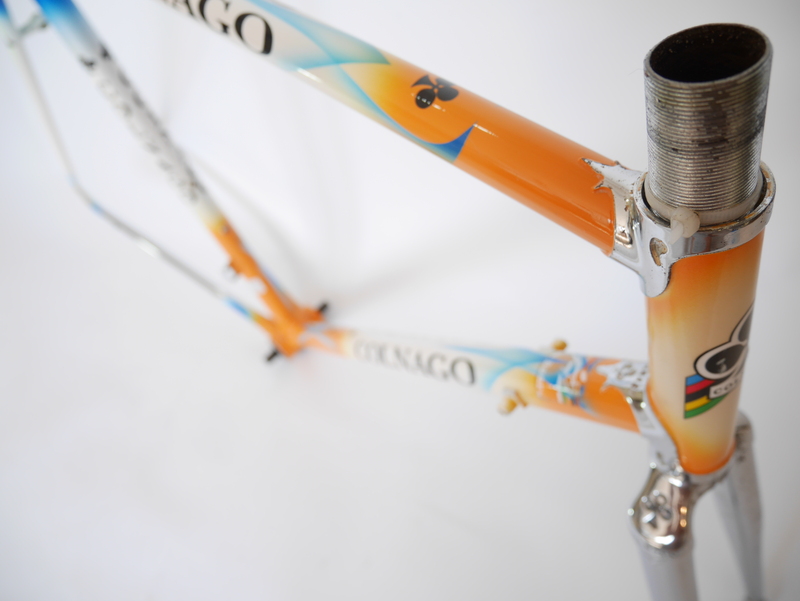 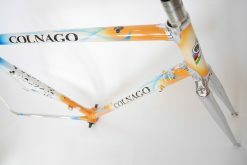 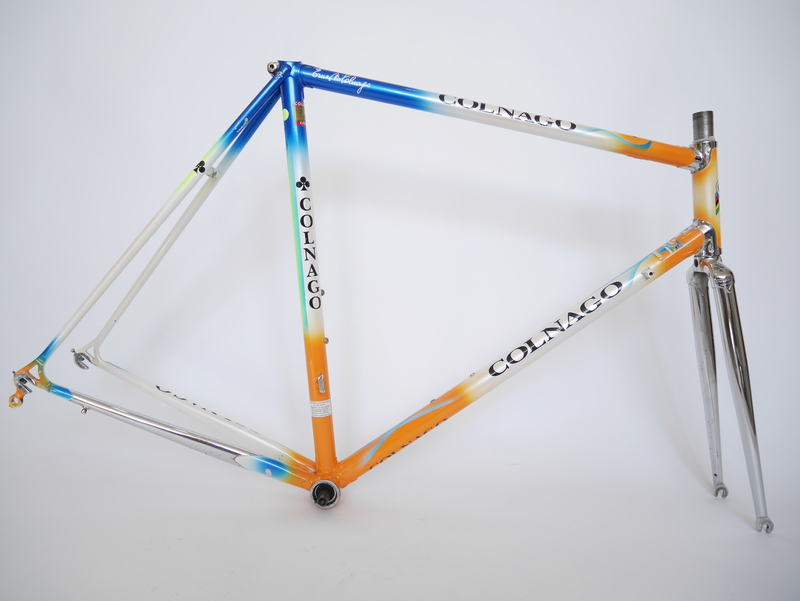 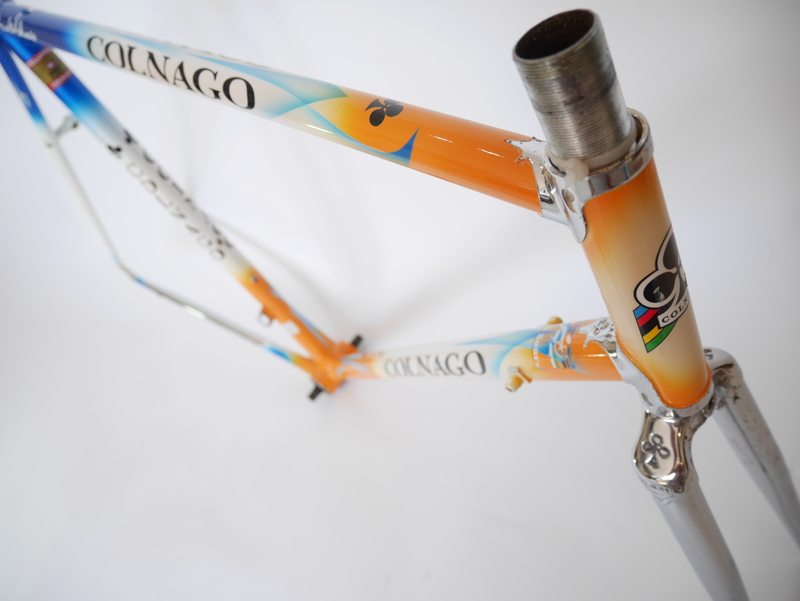 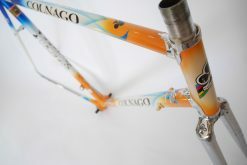 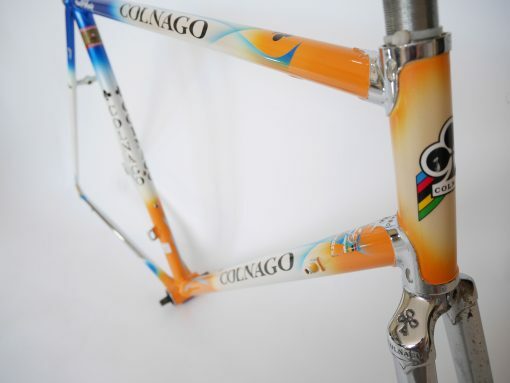 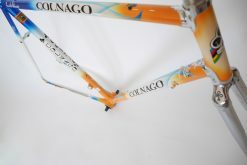 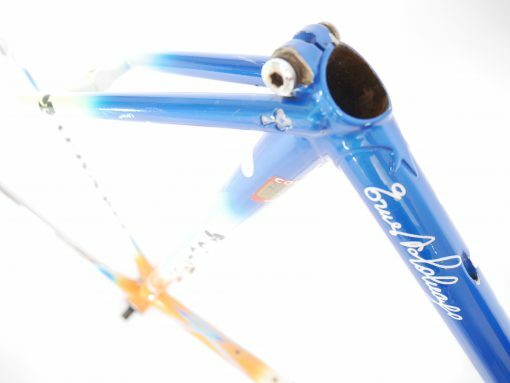 Ready to build the bike of your dreams with this beautifulColnago Rabobank team frame Columbus Brain tubing c-c 55cm from 90s. 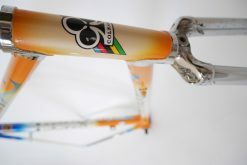 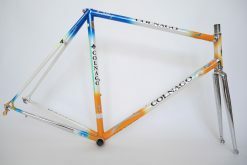 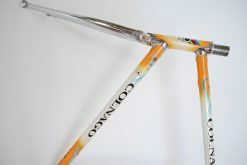 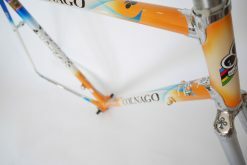 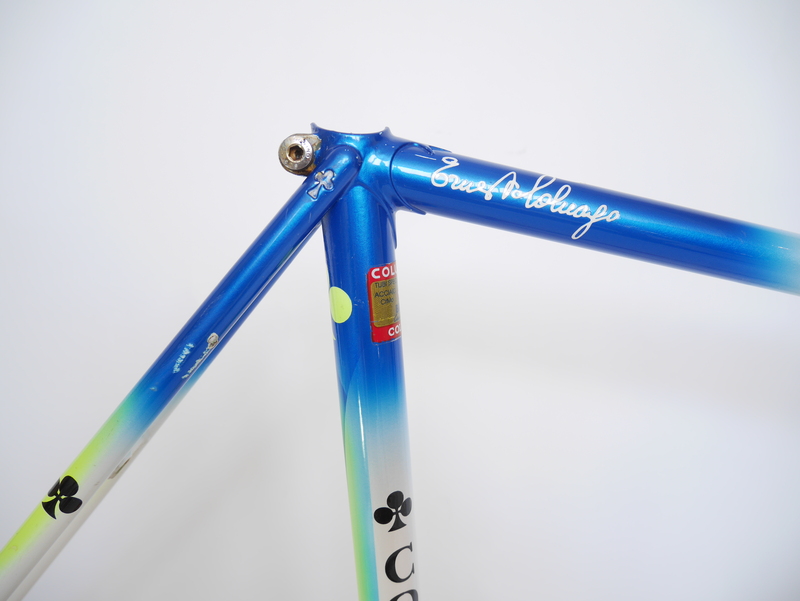 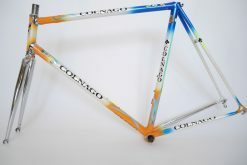 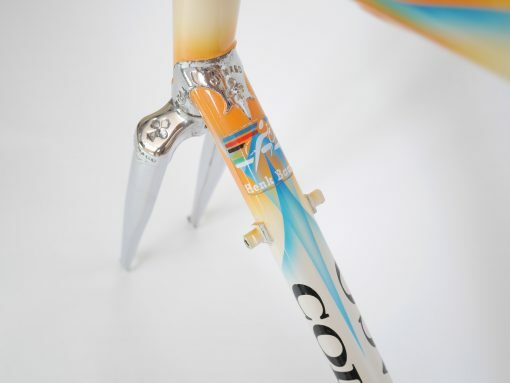 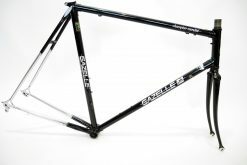 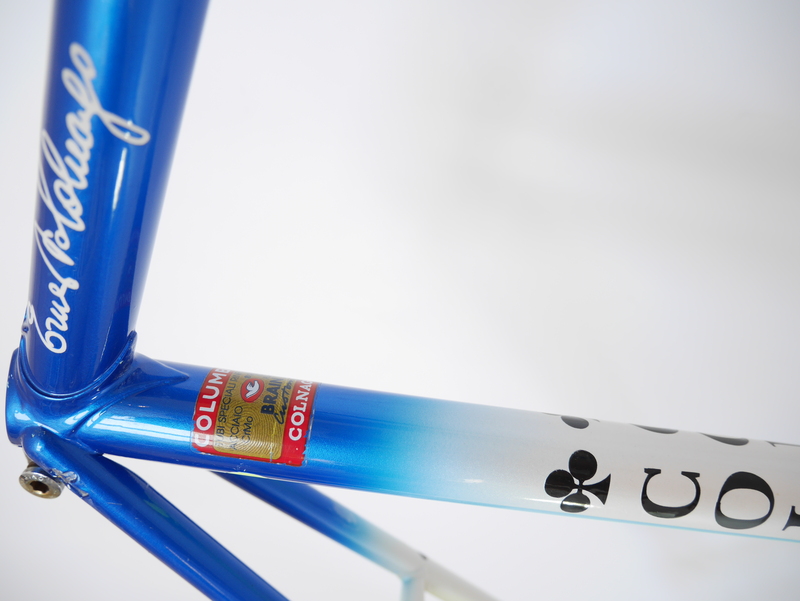 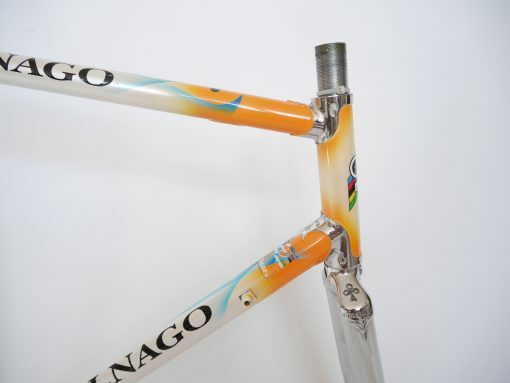 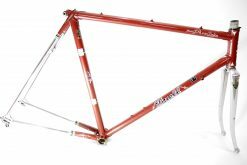 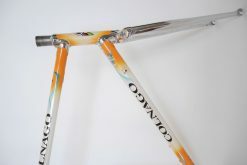 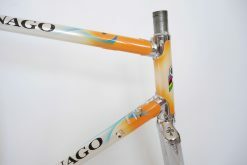 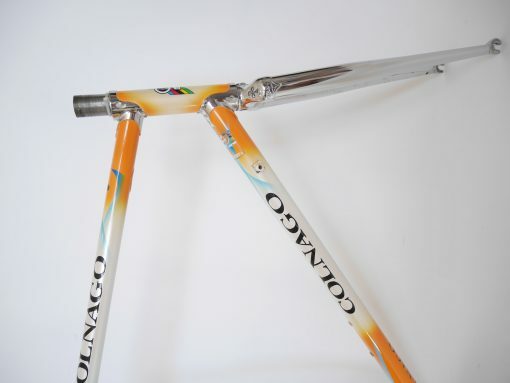 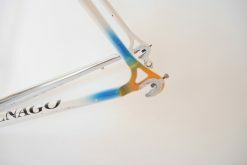 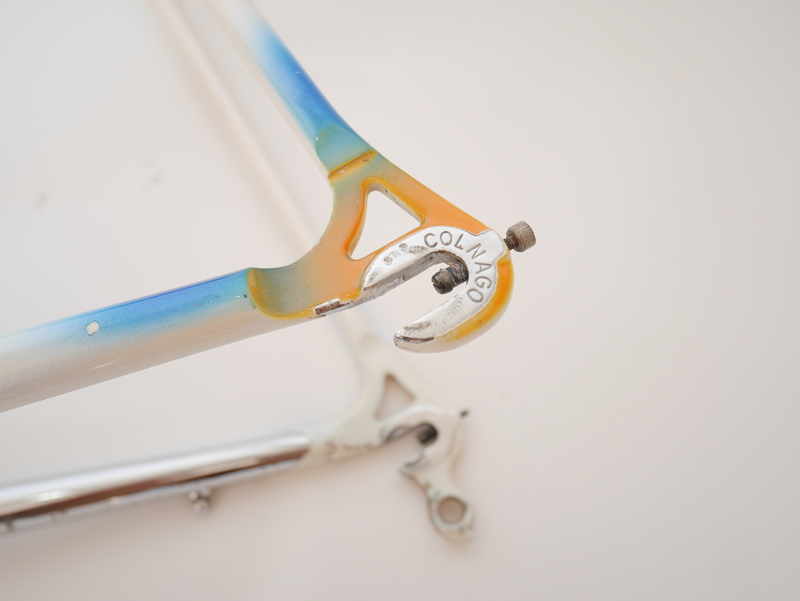 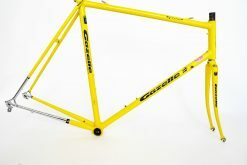 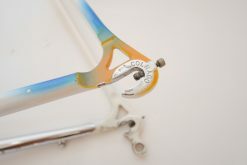 The frameset is a classic Colnago geometry, made of slightly oversized Columbus Brain tubing. 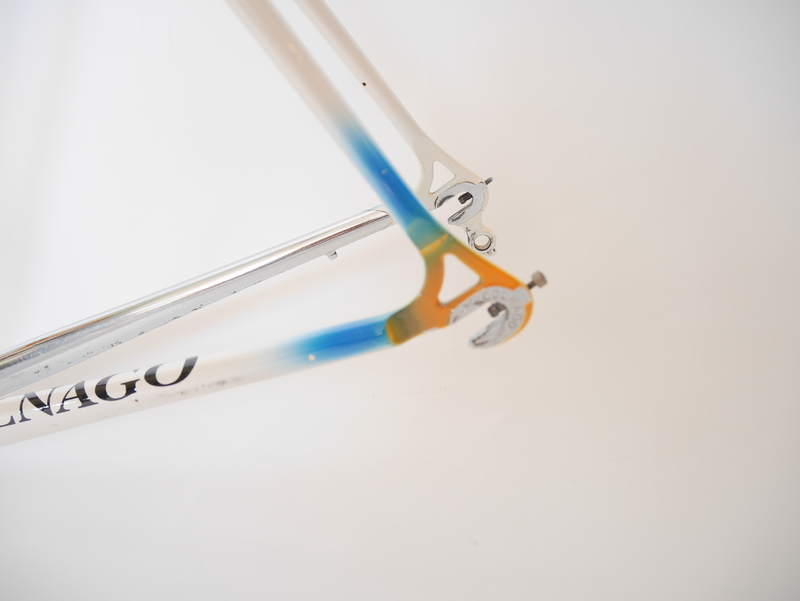 Thus it is pretty stiff and light. 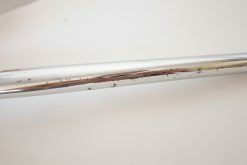 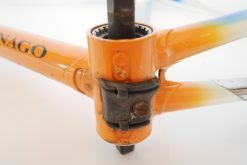 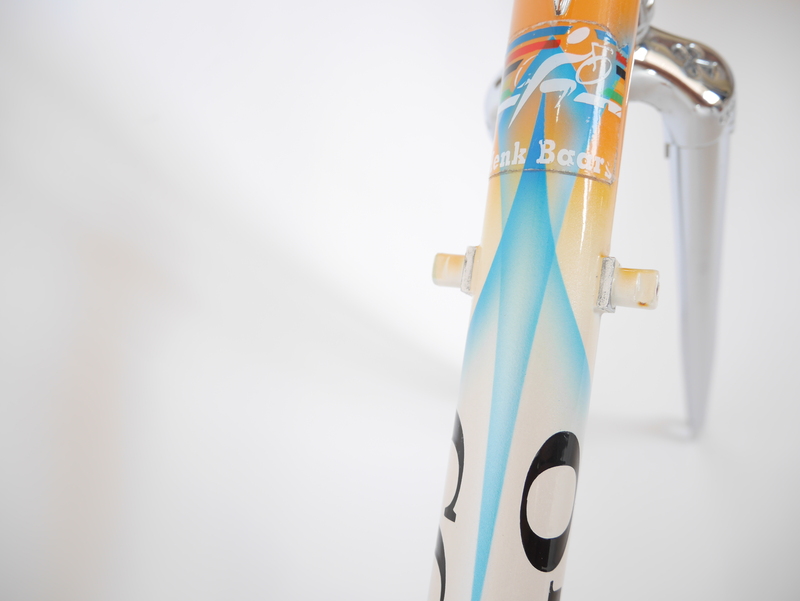 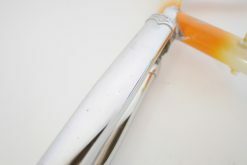 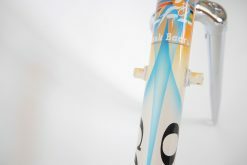 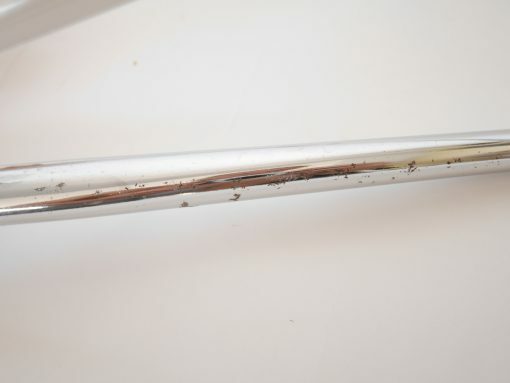 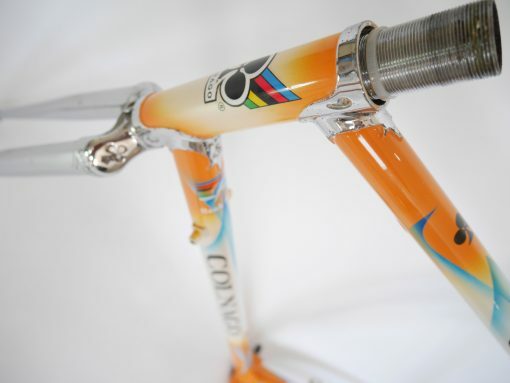 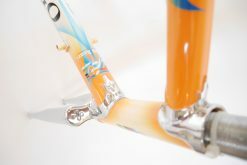 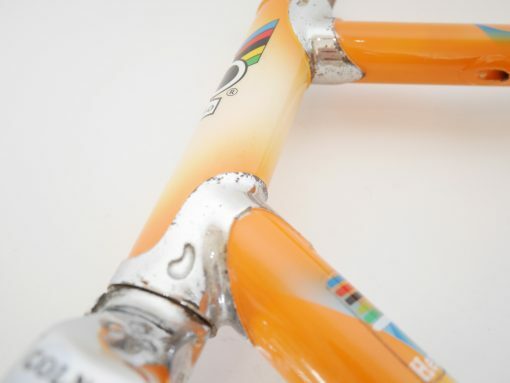 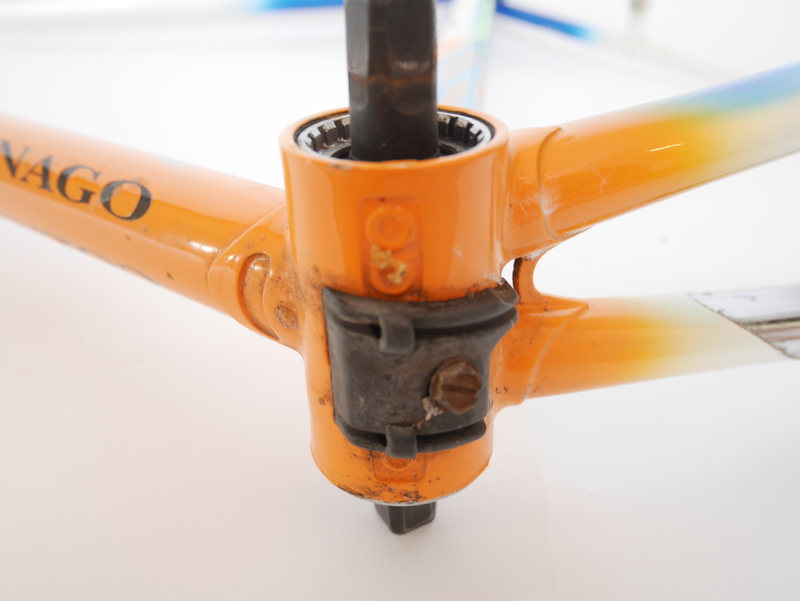 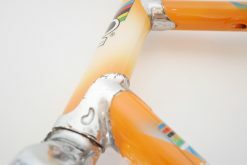 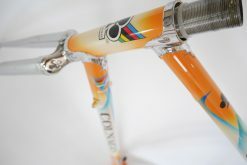 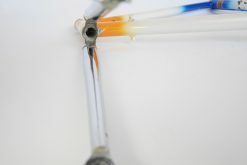 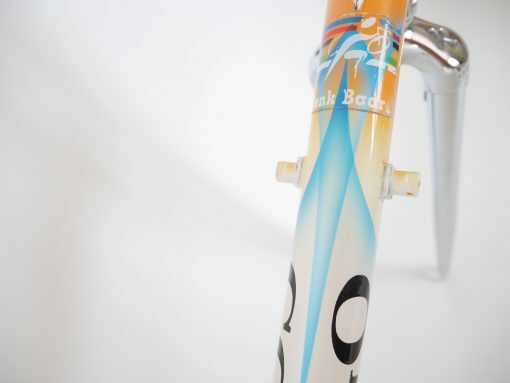 The connections are formed by lugs of which the ones at the head tube are three pointed and chromed.The bike is highly likely from former professional cyclist Henk Baars (Diessen, 3 August 1960) is a Dutch former cyclist who belonged to the Dutch cyclists top in the 80s until the mid 90s. 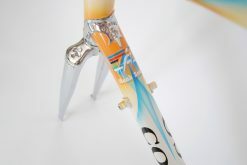 Unfortunately, I have no photos to prove this, the seller has aggravated me that he has ride this bike himself. 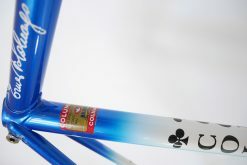 There is a sticker from Henk Baars on the steel tube. 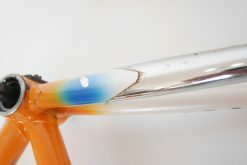 I am not 100% sure that he has been his. 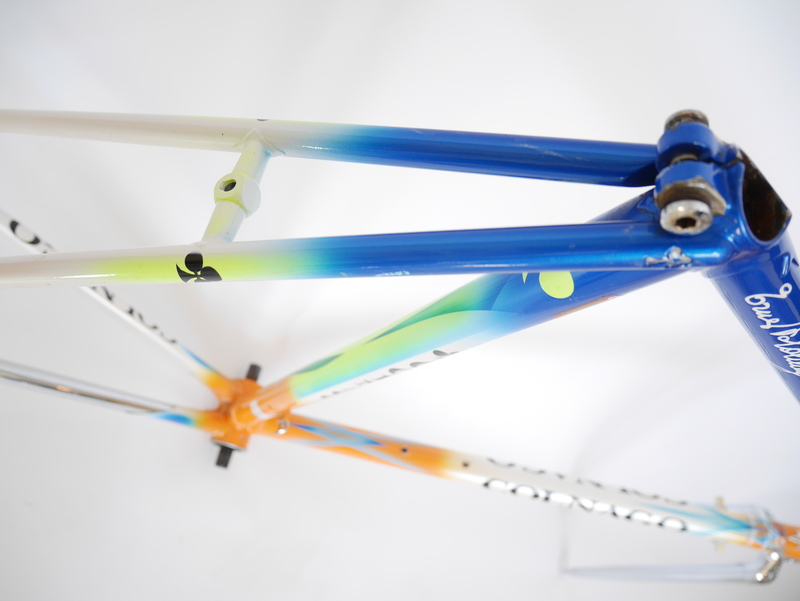 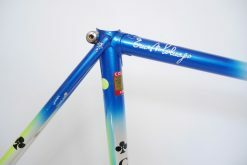 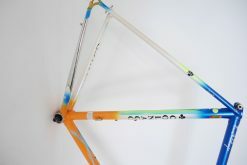 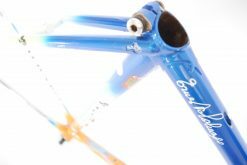 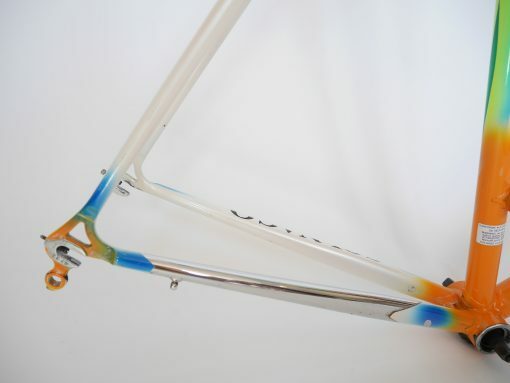 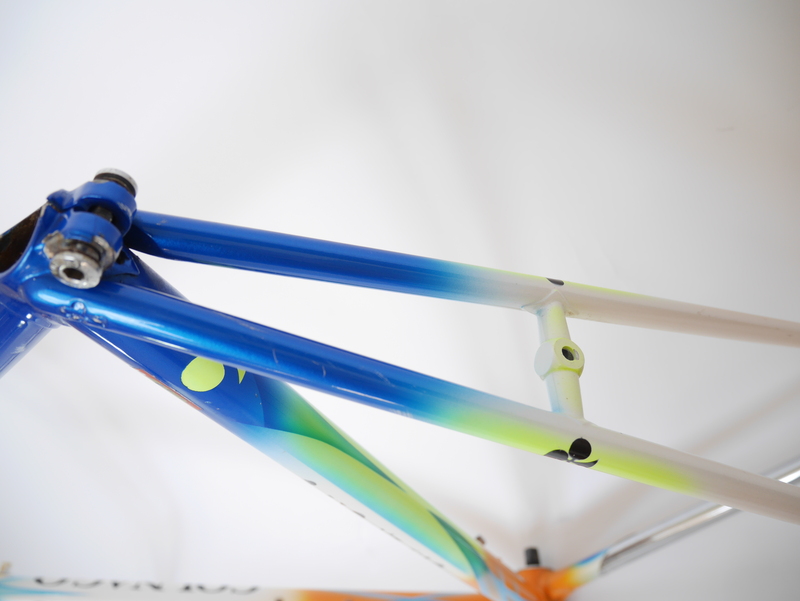 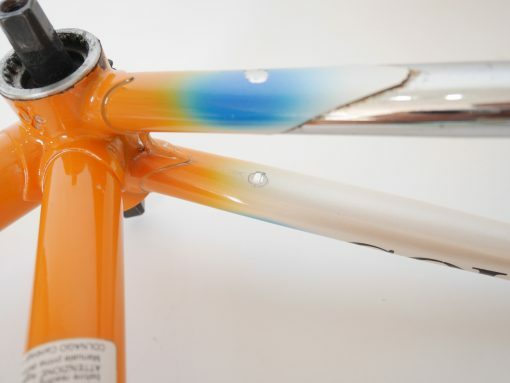 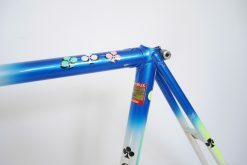 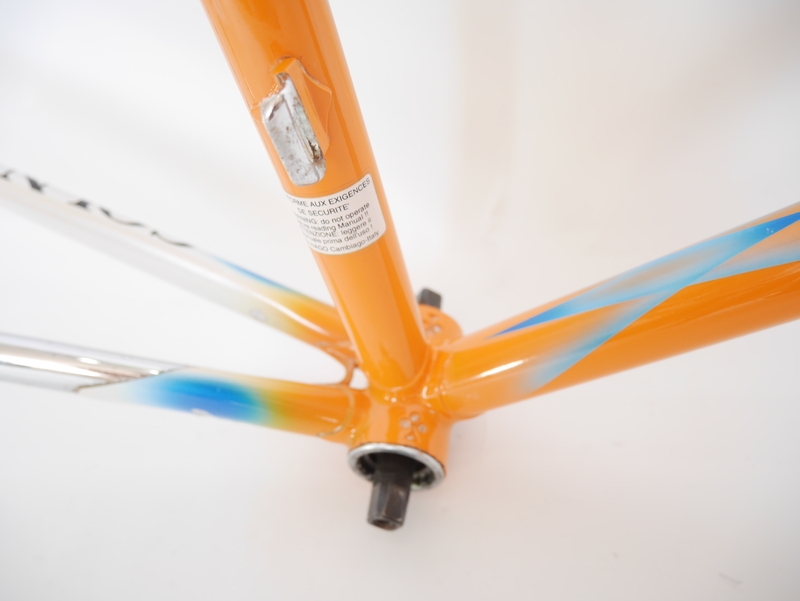 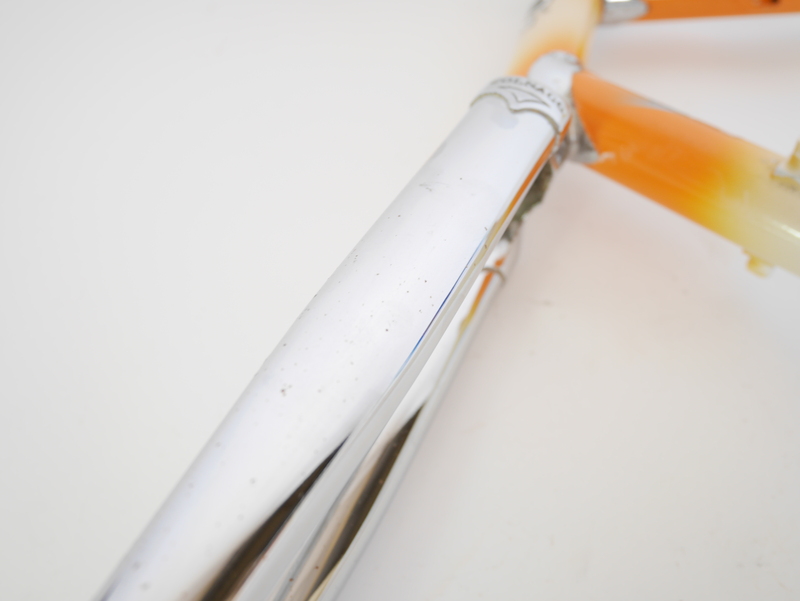 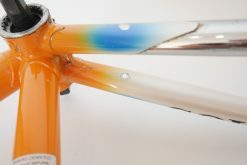 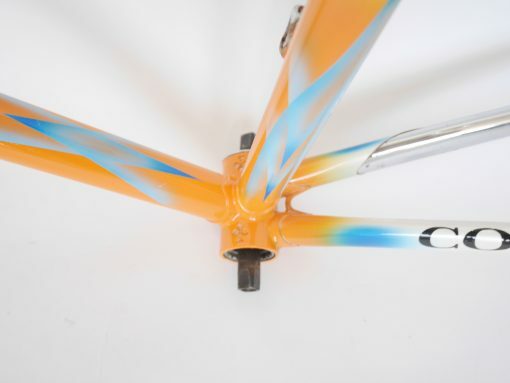 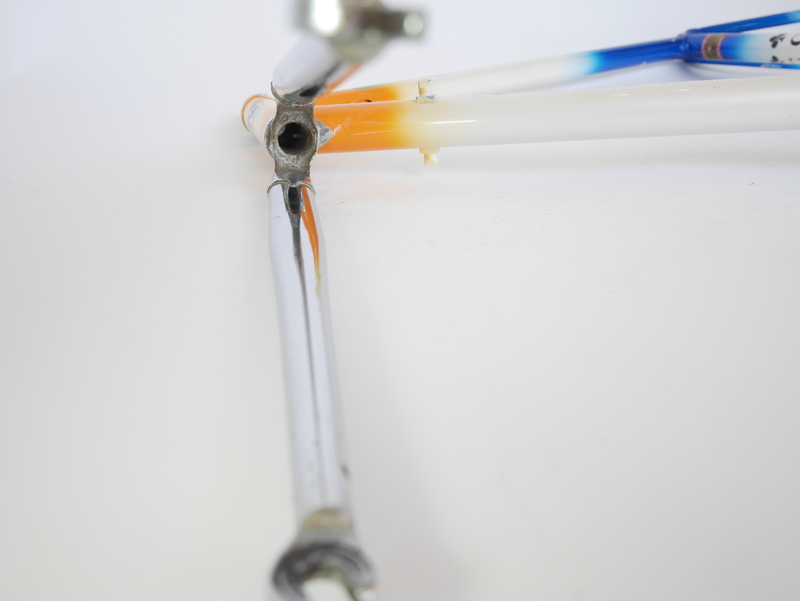 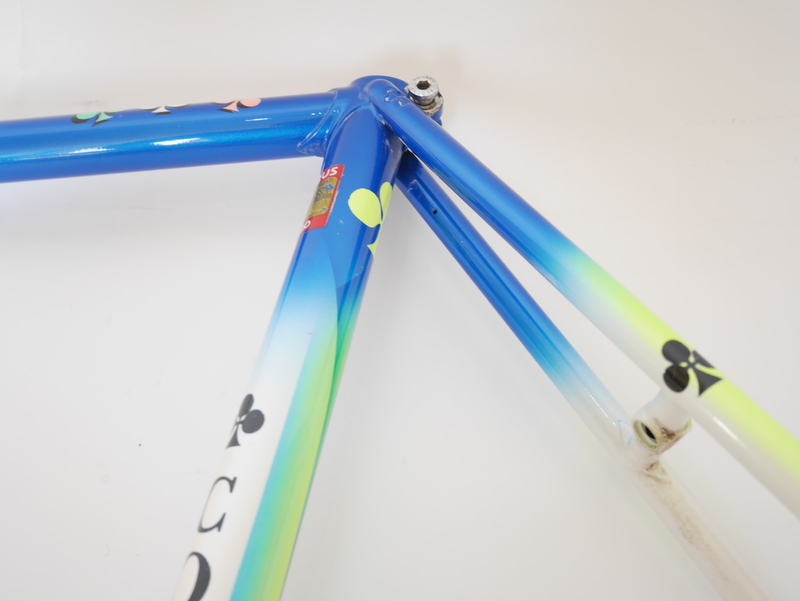 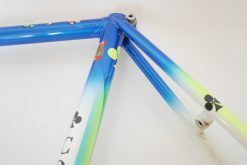 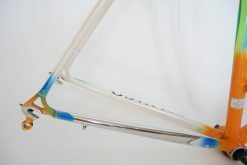 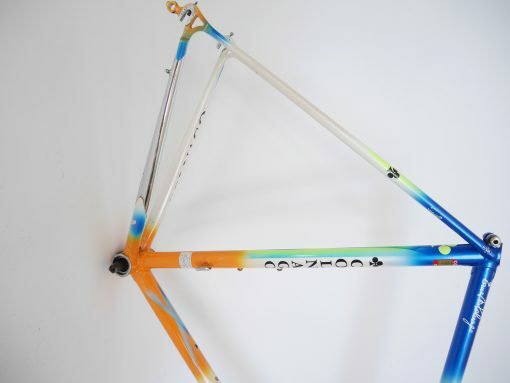 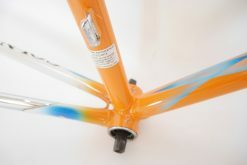 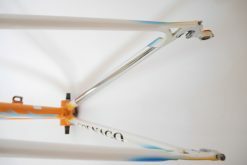 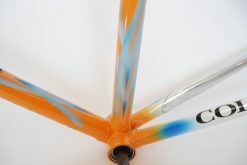 Condition:Some spots of use paintchips on the frame and scratches as I displayed on the pictures.No dents and no cracks. 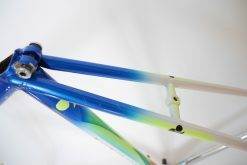 See all the pictures and judge for yourself.